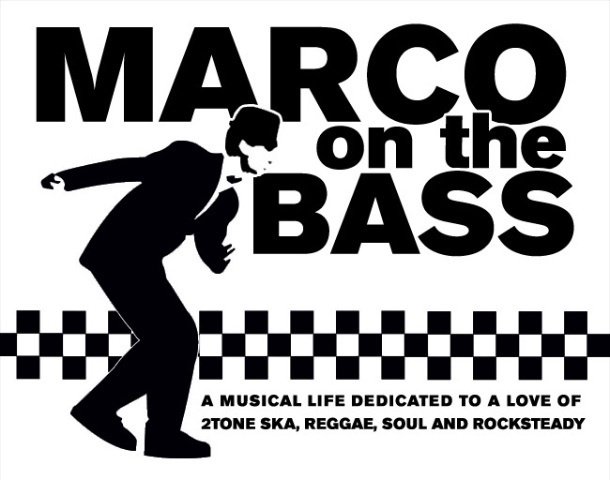 Here is a heads-up to any adventurous ska fans looking to venture into the wilds of New Jersey this Father's Day weekend to hear ska music. 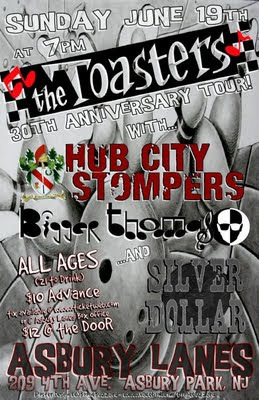 First up, this Saturday June 18th, The Record Collector in Bordentown, New Jersey features a double-bill of the ska sounds of Hub City Stompers (fresh off a cross country tour) and the old school 2-Tone sound of my band Bigger Thomas (who will be joined by special guests Roy Radics of The Rudie Crew). The Record Collector was voted the '#1 favorite independent record store in the tri-state area" by Details Magazine. The store also received honorary mention in a Spin Magazine article listing the best record stores in the US. The store offers an immense selection of New, Used, Rare and Collectible music in all formats. At last count the store held over a million LP's, 45's, and CD's. Its a great space to see a show and do some record shopping. 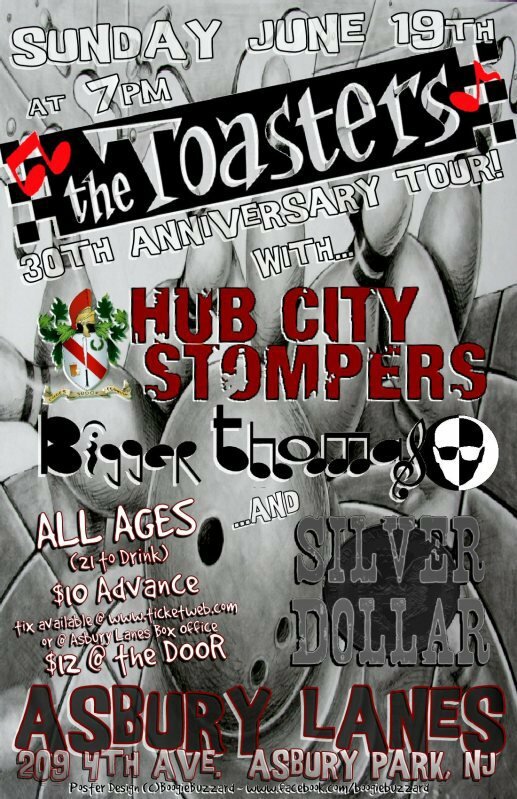 Sunday's show on June 19th at Asbury Lanes will feature a quadruple bill of ska including The Toasters (who are on the road celebrating their 30th anniversary) along with Hub City Stompers, Bigger Thomas and Silver Dollar at Asbury Lanes in Asbury Park, New Jersey. Asbury Lanes is a bowling alley AND a punk rock club! These are the first official Bigger Thomas show of the Summer of 2011, so here's to hoping all you Jersey folks who have trouble getting into New York City will come out and enjoy a helping dose of ska music. If you can't make the shows please consider downloading our latest album 'Steal My Sound' which is available as a pay-what-you-want.